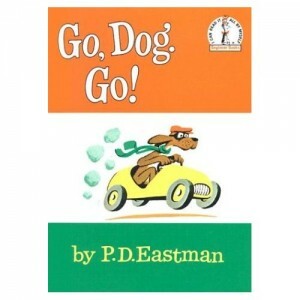 I picked up some books for my daughter (Happy Hanukkah to all those who celebrate) and one of them was Go, Dog, Go by P.D. Eastman. Soon as she opened them, she wanted to sit in my lap and have me read to her. A request that I’ll always make time for. When I opened the first page, I saw the dog on roller skates and in an instant I had some really weird déjà vu moment. It was the most familiar picture in the world but I couldn’t place where it’s from. I actually felt each page I read to my daughter. Where was I when that image was burned into my mind? It got me thinking how important memories are to us and how they hit us at the craziest times. Anything can trigger them. A smell, a random Facebook friend request or reading to a child. As a child of the 80′s, my memories aren’t backed up by much, though. Some photos here and there but for the most part, they are just that – Memories. There’s a great Albert Einstein anecdote about never having to memorize anything you can look up. It’s said that he said in doing so it’s wasting his brain capacity for something more meaningful. With pictures, videos, blogs, tweets and Facebook walls being so prevalent, how much will that impact kids years from now? Will the life that we remember be the same as those that kids today remember? Will their brains have more capacity for something else? Will all this digital content of their lives change their memories?